We believe that a residential garden should be designed to grow into, not out of. Perhaps the most obvious enhancement you can do to your home is to improve its curb appeal. It is not an additional feature that you should consider; rather it is the most important element that improves the aesthetics of your residential property. Landscape Gardening with striking streetscapes and alluring backyard environments will over time become precious. Home gardens are a valuable investment that can dramatically increase the worth of your property. 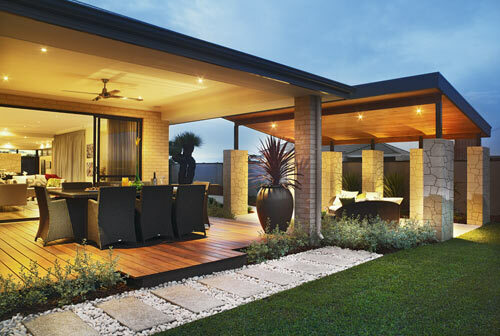 At Landscapes WA, our team of residential landscaping specialists can transform your current front or back yard into a spectacular family retreat including mature trees, garden beds, decking, water features, fencing, paving and retaining walls. Our innovative landscapers have modern ideas and creative solutions to turn your family outdoor living area into a truly relaxing oasis. 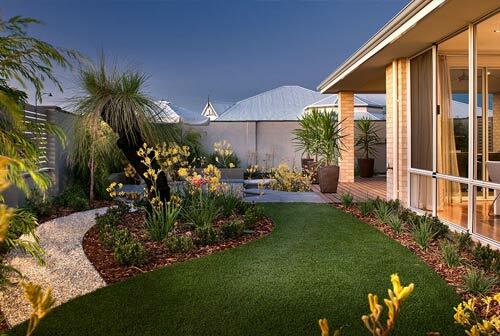 Our dedicated workers are experienced and impart highest quality workmanship in all landscape gardening projects in Perth, WA. Have you realized how important your home gardens are? From spending time in the backyard playing with your dog, or having an evening tea on the front deck to barbecuing with friends or relaxing after a day’s work, a landscaping garden is the best you could add to your outdoor space. Landscapes WA provide a broad range of service to convert your outdoor residential space into a tranquil and tempting retreat. Whether you are interested in landscape design and installation, maintenance services, gardening or services, our experts will help you create anything you desire. We can provide custom landscaped environments that best reflect the owner’s personal style and tastes. We are happy to give a quote on all garden designs and provide a quotation for the preparation of landscape plans – so that we can turn your ideas into reality.